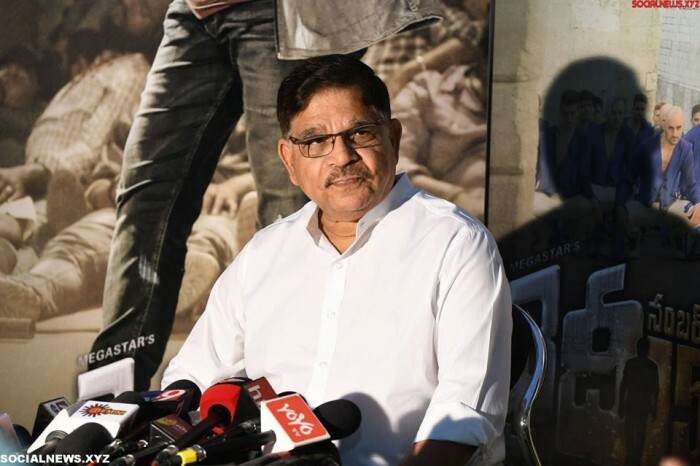 In a press met held exclusively to address the Sri Reddy and Ram Gopal Varma issue, Allu Arvind said that Ram Gopal is an intelligent man and at the same is a crooked man, and hence an intelligent crook. After Ram Gopal Varma admitted to have instigated Sri Reddy to abuse Pawan Kalyan, a lot of reactions are being witnessed on social media and many other platforms. While fans of Pawan Kalyan have vowed to take up the issue in their own hand, top producer of Telugu film industry Allu Arvind has lashed out at Ram Gopal Varma for playing unnecessary tactics for personal benefits. In a press met held exclusively to address the Sri Reddy and Ram Gopal Varma issue, Allu Arvind said that Ram Gopal is an intelligent man and at the same is a crooked man, and hence an intelligent crook. Allu Arvind further added that Sri Reddy may have been doing all this out of whatever could have happened to her, but Ram Gopal Varma instigating her is something the film industry will have to take up seriously. Allu Arvind also said that Ram Gopal Varma has betrayed Telugu film industry, a place where he began his journey. Having started his career with Shiva starring Nagarjuna, Ram Gopal Varma has gone places because of his work, and now is acting in this fashion inly for his personal benefits, said Allu Arvind. Arvind asked the film industry to take some action against Ram Gopal Varma for all his activities and trying to tarnish the image of Pawan Kalyan who is now venturing into politics. Speaking about the harassment faced by women artists in the Telugu film industry, Allu Arvind said that the committee set up by the film industry regarding this is working on it and said that they are planning bring onboard few people from NGOs not related to the film industry and rest from the film industry. Allu Arvind pointed here that this step is being taken to keep a balance in the committee. The Geetha Arts owner further added that Movie Artists Association will soon divulge all the details about this.